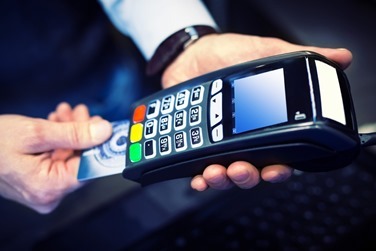 New EU rules on debit card transactions, which came into force on 1 September, penalise automotive retailers and will have a significant impact on already squeezed used car margins. Invoices received in October will show the true impact of the recent changes in debit card charging, but we expect the increase to be up to £5,000 a year per dealership on debit cards. Introduced to encourage more card payments and to reduce proportionally high fees for retailers and merchants as consumers increasingly use debit cards for smaller transactions, the new charges adversely affect high value transactions where margins are low. Previously, merchants paid 10p-15p per debit card transaction irrespective of the value. For credit cards the rate was typically 1% of transaction value. Now the EU Interchange Fee Regulation has reduced credit card transaction fees by 50%, making payment by this method cheaper, but by switching to a percentage of roughly 0.2% for debit cards rather than a flat rate, the cost to the merchant of higher value goods has rocketed. Rupert Ashley, Director at Purchase Direct, explained: “Taking payment by debit card has suddenly become much more expensive for dealers. If a dealer accepts a debit card payment for a deposit on a car of say £1,000, they will pay £2 for the privilege. Despite it being a hike of some 20 times, realistically a profit margin decrease of £2 is not the end of the world. The real problem is when customers pay for the entire purchase by debit card. “Many used car buyers arrange funding prior to purchase which often means the loan is placed in the customer’s bank account and they use their debit card to pay the full amount. On a £15,000 transaction, a dealer will be paying over £30 in debit card charges which if the margin is around £1,000 represents a loss of 3%, having a massive impact on profitability over the course of a year. “Dealers need to consider how they should manage the increased charges. They can, of course, take it on the chin or try and build an additional 0.2% into the profit margin to cover the cost. They can refuse to take payment by debit card but they can’t penalise a customer for choosing to use it as a method of payment and will be banned by forthcoming legislation. “The only option to avoid charges is to insist customers pay by bank transfer. This introduces a whole new set of challenges including security as scammers watch email traffic and intercept communications with the customer, providing their own bank account for payment. We are currently talking to our customers to find out what route they intend to take and are in preliminary discussions with a company able to provide a banking platform solution, capable of automating the whole payment process. At point of sale the customer confirms they will pay by bank transfer, details of the sale and customer are collected and when the payment is made both the customer and dealer gets notified that the vehicle is paid for, costing a fraction of a debit card collection charge.